High temperature limit switch opens at 155 deg-closes at 125 deg. 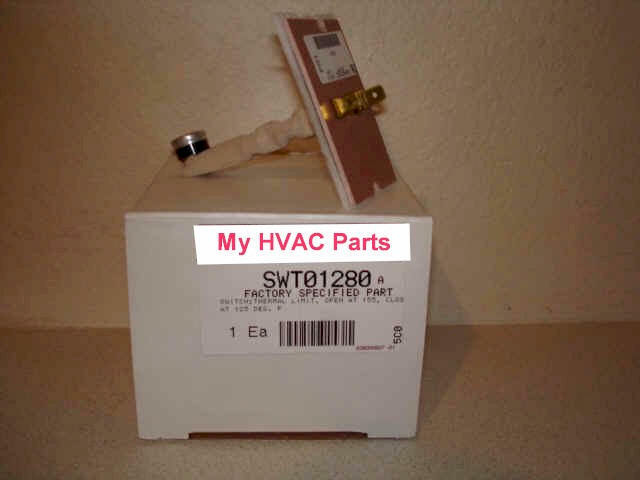 Used in (260) Trane, American Standard and Cumberland Furnaces. See list below. Original numbers: L160-30F, C340056PO1, A0135, 42271-36T0183. Thermal Limit opens @ 155 degrees (F) closes @ 125 degrees (F). Dimensions: 1 7/8" x 2 3/4"
Used in (260) Trane and American Standard furnaces.